WEC first organized a mini-conference on global warming in 1998 and the Board formally established climate change as a policy priority in 2007. 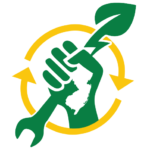 As the nation’s longest standing state labor and environmental coalition, with a respected track record of advocating for and defending environmental, community and worker friendly policies and regulations, WEC seeks to bring together a powerful group of workers, environmentalists and community members to collaborate and push for meaningful energy and climate policy changes in New Jersey. As the state seeks to recover from the disastrous years of Governor Christie’s administration and its negligible action on climate, WEC wants to drive progressive policies and projects in our state. and hopes in the transition, work is done in a safe manner that is responsible and responsive to the entire community. Jersey Renews, a coalition for environmental justice, clean renewable energy, good jobs, and protections for workers and communities. In September of 2016, WEC co-hosted a lunch & learn event at the Ironbound Community Corporation, featuring Dr. Nicky Sheats, board member for the New Jersey Environmental Justice Alliance and Aaron Jones of 32BJ SEIU. In October of 2016, WEC co-hosted another discussion about climate policy featuring Jim Young, Secretary of the Labor Institute. Each of these well-attended events was intended as a conversation starter, helping grassroots leaders understand the approaches other states have taken, and creating a better understanding of the various priorities our state must consider. The 2016 WEC Member Meeting also focused on climate change. WEC is a key convener of Jersey Renews, a coalition of more than 40 organizations in support of action on climate change, and helped organize the launch event on January 25, 2017. WEC also participated in a series of kick-off events around the state, including Montclair, Camden and New Brunswick. For updates on WEC’s climate policy work, please click here. Reward everyday Americans with tax credits for retrofitting their homes for greater energy efficiency instead of squandering tax cuts on millionaires. Commit to a 2% reduction per year in global warming pollution – 80% by 2050. Create a national Renewable Electricity Standard that adds millions of megawatts to the electric grid and secures investments in renewable energy. Speed investments in the clean, renewable energy and energy efficiency technologies that help solve global warming and save hardworking families money, instead of lavishing billions in tax breaks on Big Oil. Regulate trade with countries that recklessly pollute, instead of looking the other way with those, like China, that lead the world in carbon emissions while dumping toxic medicines, food, toys and other products onto our shores.